Would you be ready if an unscheduled Inspector arrived at your site today? Or would you prefer a scheduled inspection? Most Sponsors would pick the latter. A non-compliance rating can have detrimental effect on all parties involved. Despite this, a reactive approach is still being utilized due to rising costs. AxSource Consulting Inc. serves contract research organizations (CROs), manufacturers and distributors in the healthcare industry with the effective clinical trial documentation and conduct. Sponsors are now seeking a more proactive approach for ensuring compliance. Since implementing in-house QA teams can be expensive, the use of third-party auditors in a targeted approach is an excellent option. 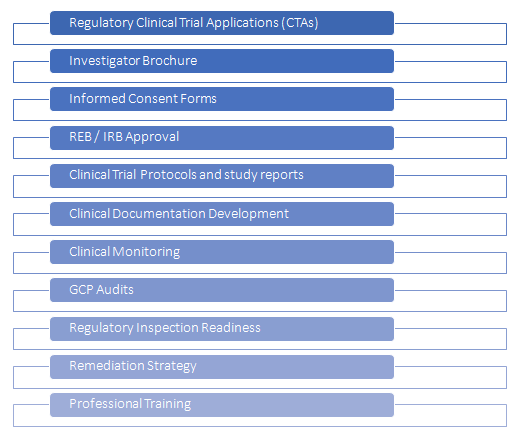 Using AxSource consultants that are well versed in clinical research and have expertise in regulatory affairs and quality compliance, is the best approach. Having supported numerous companies in GCP, GLP, GMP, GDP and Pharmacovigilance, we know what inspectors look for and support the implementation of GxP framework, gap analyses and support customized training initiatives.